Are you furnishing an office? Relocating? Upsizing? Downsizing? Setting up an office at home? If you are, then you could save 60% plus on the cost of the furniture that you need to get on with your work. By purchasing recycled office furniture from W&N Solutions you can make fantastic savings while buying the highest quality office furniture, seating, desking, filing and storage or conference furniture. Check out the individual pages for more information. Our stock is changing all the time, so even if you can't find exactly what you want now, we may well be able to source the items that you need. Everything is from top of the range suppliers and any item that is not in perfect condition is rejected, so you know you will be getting the best possible value. Because here at W&N Solutions we believe in flexibility, when we received an enquiry by email on Sunday evening recently, the furniture was delivered first thing on Monday morning. OK, not everyone forgets to order a desk for their new member of staff, but just in case you need anything at short notice, we always try to oblige. Where do you keep the documents you just can't afford to lose? Quite simple really, in a fireproof filing cabinet of course. 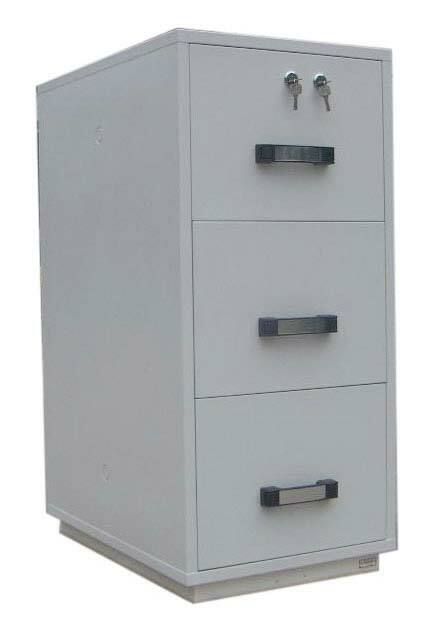 Having been asked to deliver one of these to a local firm of solicitors, the 900lb, three drawer unit was man-handled up the three steps into the office. Unfortunately, the unit couldn't be placed where the customer wanted it as their mezzanine floor just wasn't up to taking the loads that all that weight in a relatively small area would place. This kind of advice is just a part of the package with W&N Solutions, so eventually, after studying the building plans, a suitable location in the reception area was identified and the cabinet installed. The good news for us was, that in this prominent position, the cabinet was spotted by a visiting solicitor who promptly ordered one for their own office.